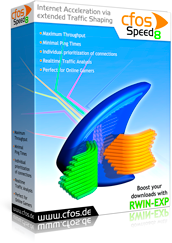 Buy the cFosSpeed and cFos Personal Net bundle for only 79.80 ₪! התוכנה מגדילה לך את ניצולת הקו ומקטינה את זמן הפינג (תגובה). cFos Traffic Shaping for smartphones, tablets and other mobile devices. cFosSpeed optimizes your Internet connections with Traffic Shaping and Prioritization . For all access types: DSL, Cable, Mobile Broadband (2G/3G), Wi-Fi, etc. Monitor vital WMI data on your PC or smartphone. 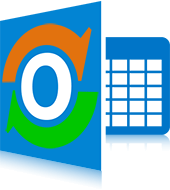 cFos Outlook DAV is an Outlook Add-in to connect to calendar and contact folders on a CalDAV/CardDAV server in the cloud. For home hosted solutions you might want to try out cFos Personal Net's CalDAV/CardDAV services. The current free release runs until September 30th, 2016. Or you can buy an unlimited license here . 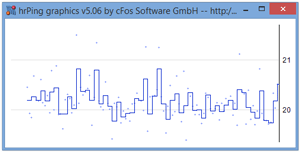 cFos Notifier periodically checks new sources and notifies you as soon as something new arrives. It then displays a notification in the Windows taskbar. Thanks to cFos Notifier you don't need to clutter your desktop with open browser windows or email clients to keep in touch with the world. Likewise: if you need uninterrupted time, you can temporarily "pause" cFos Notifier to have the silence you need. You can do much more with hrPing than with Windows Ping. With our new speed checker, you can quickly test the speed of your Internet connection. You can perform upload and download speed tests, for example to verify, if your Internet speed matches the promised values.